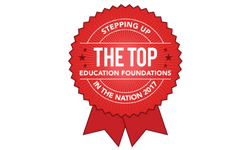 The MEF awards scholarships to eligible Morristown High School seniors through an application process. Scholarships, funded by individuals and foundations, are awarded at the Senior Academic Awards Night each June. Online applications for all scholarships are made available each spring. For more information see below or contact the Morristown High School guidance department. The scholarships listed below will be awarded in June 2019. To review application criteria and requirements, please click on the title of the scholarship. Here are some helpful tips to consider before beginning your application. All applications are due April 1, 2019 with the exception of Judy and Eliot Steinberg Scholarship, due March 22, 2019. This MEF Scholarship application allows you to apply for all MEF Scholarships at one time. Please be prepared to apply for every scholarship you are interested in so you do not have to resubmit common application information again at a later time. Some scholarships require family financial information, one or more essays, and one or more letters of recommendation. We will ask you to provide the name and contact information of the person submitting your recommendation. All scholarships require you to upload your official Morristown High School transcript. This can be in pdf, doc, docx, png, jpeg, or jpg format. If you would like to start your application and finish it at a later time, you must use the same computer. We recommend using your school issued chrome book. 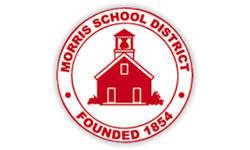 This scholarship honors two long-term residents of Morris Township who believed in education and equal opportunity for all. The scholarship will be awarded annually to 1 – 3 Morristown High School seniors who intend to continue their education at a New Jersey public college. Successful candidates will demonstrate financial need, scholastic achievement, and a willingness to help others in the community. This scholarship is made possible by their children who have pledged $1 million to provide for the college education of 10 or more Morristown High School students so they can graduate with minimal or no debt. A life-changing scholarship awarded to a Morristown High School Junior with plans to pursue a degree in teaching, preferably secondary education. This scholarship is a four-year scholarship and the amount is determined at the discretion of the MEF/MHS Eklund Scholarship Committee. The intention is for the financial award to be “life-changing” for the student recipient. Carl George & Shirley L. Eklund, class of '39, were high school sweethearts at MHS and wished to establish a legacy to benefit generations of students. The Morris Educational Foundation provides this scholarship through the endowed Eklund Scholarship Fund established as a bequest from Carol George & Shirley L. Eklund. Robert Wong, MHS Class of 1967, established this scholarship in memory of his parents. This generous award is for $5,000 per year for up to four years. This is a merit-based scholarship for a student in the top of the Morristown High School graduating class. The senior must exemplify the traits of high academic achievement and pursuits. The scholarship will be open to all Morristown High School students who are pursuing STEM field in college studies. Preference to students underrepresented in STEM careers (i.e., women, underrepresented minorities and students with special needs). George and Michele Becker are longtime Morristown residents who are committed to education and our area schools. Professionals with careers in healthcare, finance, management, they understand the importance of science, technology, engineering and math for one’s career path. The generous donations of friends of Mr. Stephen B. Wiley support this scholarship in recognition of his leadership and tireless efforts in forging a strong and vibrant school system and significantly strengthened the community. $4,000 for each of the first two years of post-secondary education is awarded to a student from MHS or MCST that can show strong community-minded leadership both within and outside of school. In memory of The McNally Family established The Capt. Brian J. McNally USMC Scholarship to honor the life of Morristown High School Alumni, Capt. Brian J. McNally USMC, an American Patriot, who exemplified a life dedicated to volunteerism and service to his schools, community, state and country. The scholarship will be open to all students who are pursuing Criminal Justice, Law & Protection, Health Care, Nursing & Medical Management or Emergency Management/ Public Safety at a four-year college who demonstrate dedicated community service. The scholarship must be used to pay tuition at an accredited 4-year college or university. Sponsored by the Golden Bagel Runners. This scholarship is in memory of Javier Avelar, a beloved Morristown High School graduate, who died after an 18-month battle with colon cancer. The scholarship will be awarded annually to a Morristown High School senior who is a first-generation immigrant student with financial need. This scholarship was established by the MEF through the sale of the book “Youth’s Bright Years: An American High School,” written by alumnus John T. Cunningham, class of ’32. This is for an MHS graduating senior pursuing a major in the broad field of communications at a four-year college, meeting the criteria of grade point average, related extra-curricular activities, teacher recommendations, and excellent writing skills will be awarded $1,500. This scholarship award was created by the Galbraith family in memory of former Morristown High School biology teacher and Principal, James Galbraith. This award will be presented to an MHS Senior with plans to major in biology at a four-year college or university. Applicants must demonstrate creativity, kindness, and an ability to work within a team attributes the scholarship’s namesake valued and possessed. AT&T Pioneers is a nonprofit volunteer organization whose mission is community service. This local organization is a part of the New Jersey Chapter of AT&T Pioneers and consists of AT&T retirees and active employees. Education is one of the primary causes of the AT&T Pioneers support. Thus the local chapter decided to create this scholarship for a college-bound senior at Morristown High School. Mary Plunkett Bentzlin was a beloved teacher in the Morris School District for over 30 years, primarily at Frelinghuysen Middle School where she taught language arts and writing. Her scholarship will be open to all students who are pursuing liberal arts in their college studies with a goal towards public service. Financial need is a primary consideration for this scholarship. The scholarship must be used to pay tuition and related expenses at an accredited 2 or 4-year college or university. The Shirley Shalit Scholarship was established to honor lifelong Morristown resident and Morristown High School alumna, Shirley Domb Shalit (Class of ’39). The scholarship will be open to all students who are pursuing a major in the Humanities with a preference for English Literature at a two or four-year college. The scholarship must be used to pay tuition at an accredited 2-year or 4-year college or university.